Landscape design is on an individual basis. 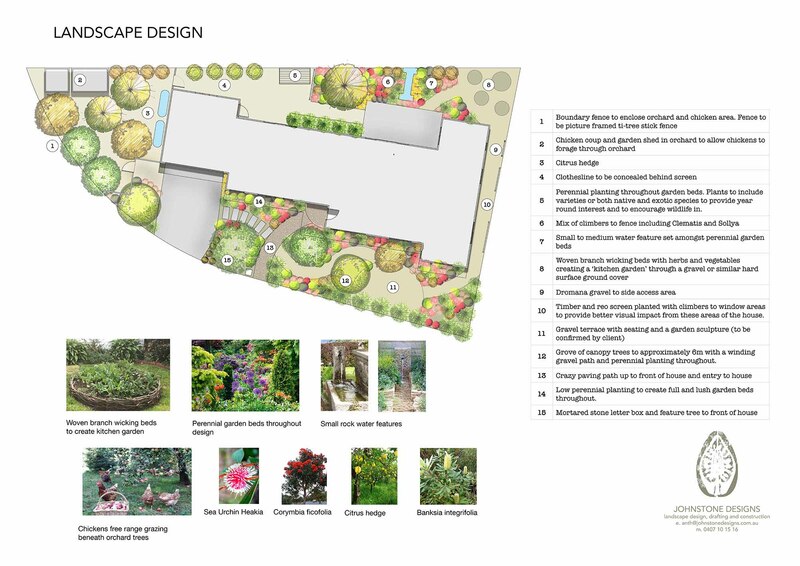 Each client has a consultation with a member of the design team to discuss the proposed design of the garden and the budget you have set aside. An open discussion is encouraged as ideas are exchanged. We explore wants and needs, discuss landscape design styles, products, budget and opportunities. Social media such as instagram and pintrest are embraced as great resources for showing examples of what can be done in your garden space. Design and site particulars are documented in the client brief document and utilized for later use in the concept design stage. A proposal is submitted to the client outlining designs fees. Once this is accepted by the client the project can begin.